The Indie MEGABOOTH at PAX East 2013. For all the hand-wringing about the indie games bubble, concerns of an over-saturated marketplace, and fears that soon it will be impossible to make any kind of headway as an indie developer, the path forward has already been charted. It may have sneaked right by, under your nose. It will seem obvious, perhaps insultingly so. The next phase of indie game development will be powered by collaboration. 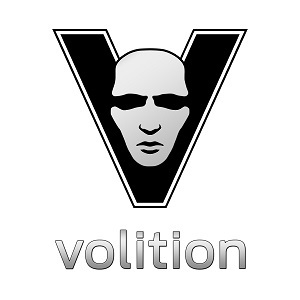 All this means is that more developers, instead of toiling in seclusion, will join their efforts with others with similar goals in order to make, market, and sell games. It’s already happening in development with compilations like SPORTSFRIENDS, combining four separate niche local multiplayer games together under one collective branding that’s easier to understand from a consumer point of view. On the studio level, it’s happening with experiments like Fixer Studios, a “collaborative cloud studio” that draws from a "constantly fluctuating workforce of veteran volunteers" who pool their time and resources to work on games as needed. 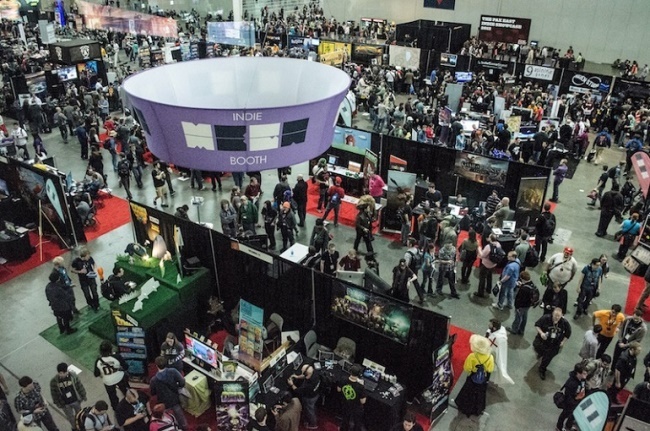 It’s already happening in marketing with the Indie MEGABOOTH, harnessing the shared power of dozens of indie game developers to compete with triple-A marketing budgets at convention floors at shows like PAX and GDC. It’s already happening in sales with Humble Bundle and similar bundle sites, bringing indie games that may have gone unnoticed directly to attentive gamers eager for a deal on great games. But bringing a bunch of people together to accomplish a common goal – isn’t that the same thing as traditional triple-A development? Not exactly. The difference here is that independent collaboration of this type has grown out of needs that are no longer able to be met by the traditional worker/studio/publisher system. And for developers operating independently, there are ways to take advantage of the unique benefits being an indie offers. Flexibility. 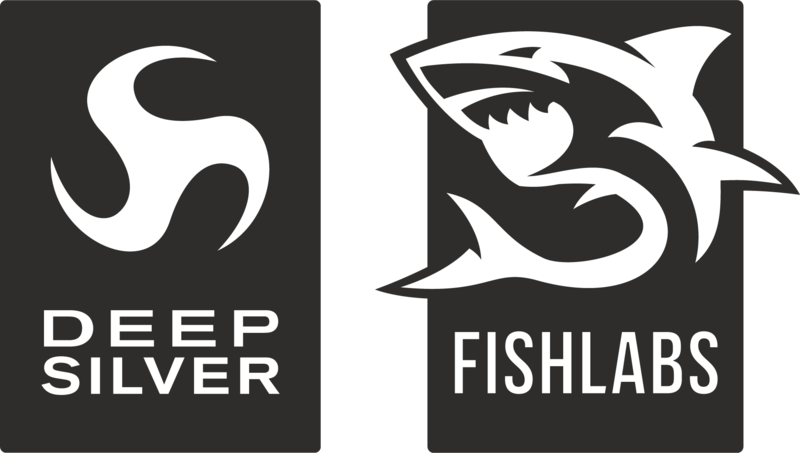 As each remaining triple-A studio sheds workers or shutters completely, more and more of those jobless developers either leave the industry or go indie. As indies band together in temporary or permanent fashion to accomplish mutual goals, the lie that the triple-A industry sells to its workers over and over again – that their jobs are with the company, instead of on a given project – finally ends. Relieved from the stresses of having to relocate across the country (or the globe) if they're let go, and able to function with a higher level of autonomy that working independently enables, devs can join forces with other entities at will, per-project, with no party’s life being completely upended if the project doesn’t work out and their "stable job" in the industry ends up being precisely the opposite. 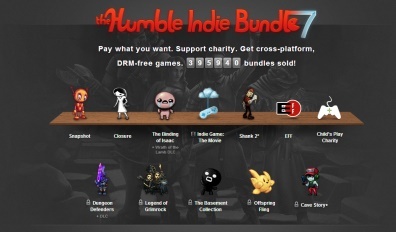 Humble Bundles temporarily band indie games together into appealing purchasing propositions. Network effect. As indies collaborate with others to undertake projects, it creates another tangible benefit: increased access to personal networks. This comes in handy for just about everything from sourcing leads on contract work to promoting titles and events. For example, when my company Studio Mercato was presented with the opportunity to co-host a local multiplayer game-themed event featuring the arcade machine we built for our game Crystal Brawl, we were able to leverage not only each team member's personal network to get the word out, but the development teams for the three other games presenting. "Individually, we’re tiny. Together, we are mega. Sure, it may be tough for indies to get noticed, but we’ve pooled our resources to get a huge booth, front and center at the show, to showcase all our awesomely creative games. Our booth is now bigger than a big studio booth!" Of course, there are parallels to triple-A development – groups of people working together toward a common goal – but there are key differences. Triple-A development is often composed of interlocking pieces that must function together just so, like building a pyramid from a singular vision. Indie collaborations are looser entities that, while also needing to function together, are more open to interpretation and unconventional solutions in the spirit of empowered discovery – like conceiving and painting a mural as a group. The difference is autonomy and empowerment, not only in creative vision, but in life outside of the studio. And it’s happening right now. As the remaining big studios continue to contract, spilling out more independent workers into the wild, the indie developers of tomorrow will take the time to learn how to operate on their own. They will make mistakes, learn lessons, and come to grips with the realities of indie development. Eventually, they will find themselves. Then, they will find each other.